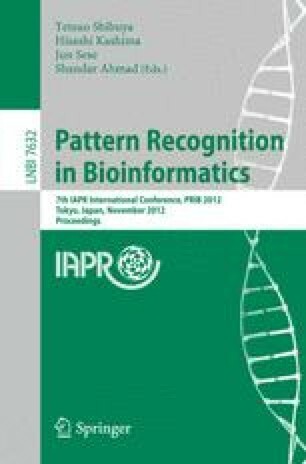 Structural studies of proteins for motif mining and other pattern recognition techniques require the abstraction of the structure into simpler elements for robust matching. In this study, we propose the use of bond-orientational order parameters, a well-established metric usually employed to compare atom packing in crystals and liquids. Creating a vector of orientational order parameters of residue centers in a sliding window fashion provides us with a descriptor of local structure and connectivity around each residue that is easy to calculate and compare. To test whether this representation is feasible and applicable to protein structures, we tried to predict the secondary structure of protein segments from those descriptors, resulting in 0.99 AUC (area under the ROC curve). Clustering those descriptors to 6 clusters also yield 0.93 AUC, showing that these descriptors can be used to capture and distinguish local structural information.